See you later, Dauphin Island! 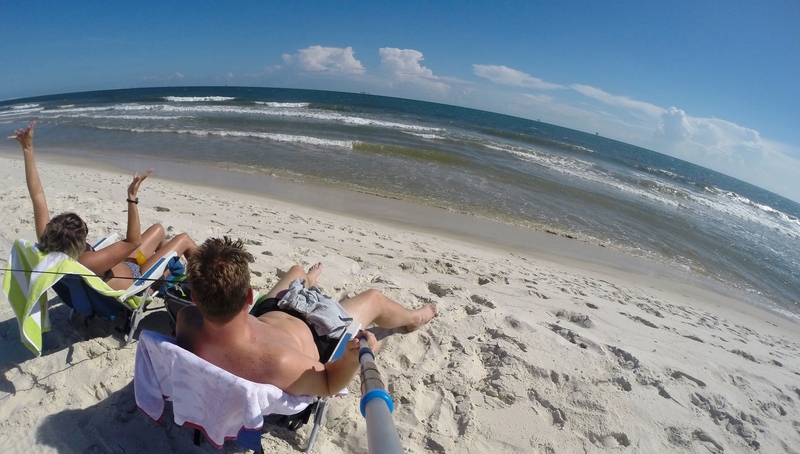 Looking back at our 3 months on Dauphin Island, I have to say that it was a great time. I relaxed more than I have in years! Even though the rental house didn’t have every specialty item I like for cooking and living, it was actually a comfortable experience. I learned to adapt and use what I have to meet the needs I wanted. That is a big change from my previous life where I would go out and buy every little gadget and item that I wanted. I want to learn to use less and still be happy, and I am three months closer now. For example, the beach house didn’t have the measuring cups I like (or any for that matter), and I gave mine to Tyler, but that didn’t stop me from cooking and baking. I learned to improvise and use items that I knew the measurements of – like an 8 oz. coffee mug or a 1 oz. shot glass. See! The measurements and conversions you learn in school DO come in handy! 🙂 It was actually fun trying to see how to adapt to needs that I didn’t want to fill. And you know what? I didn’t do without at all. We ate very well and didn’t do without anything we really wanted. The food on the Island was great! I will miss Skinner Seafood most I think and their fabulous snow crab legs and shrimp…not to mention their seafood bisque I bought almost weekly. Barnacle Bill’s was awesome and never disappointed…except on Mondays when they were closed. The pizza from Island Rainbow was the best I’ve ever had…Eric and I have already started talking about that, and it’s been less than a week away! But now, I have new restaraunts to visit and new places to explore…and that is part of the fun of living in a camper and moving around! So far, it has been extremely fun and adventurous, and I think it will continue to be such because when Meaher Park gets boring, we can just move the “house” somewhere else. I will post again soon about the whole move-in and all the challenges I am facing, because there are plenty, but with Eric, it is fun and I’m laughing through every step. This whole “letting go” thing is proving to suit me well. 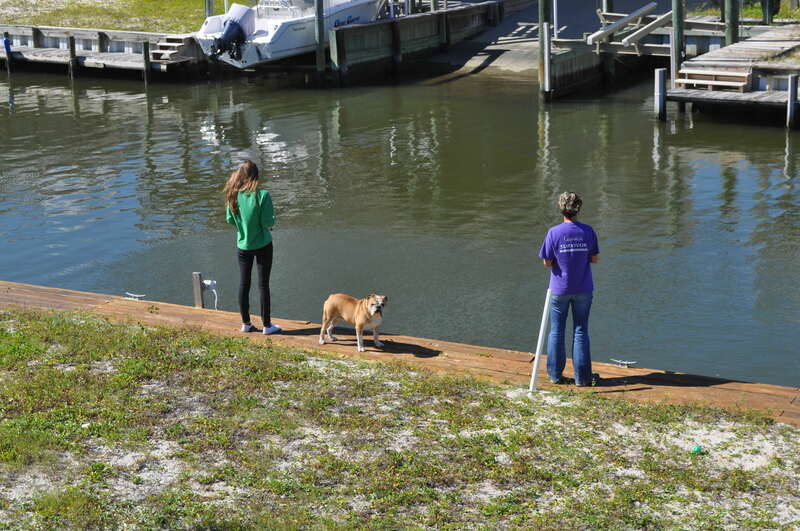 Tami, Ally and Lincoln fishing from the back of the Dauphin Island house. Eric and Tami on the beach at Dauphin Island. 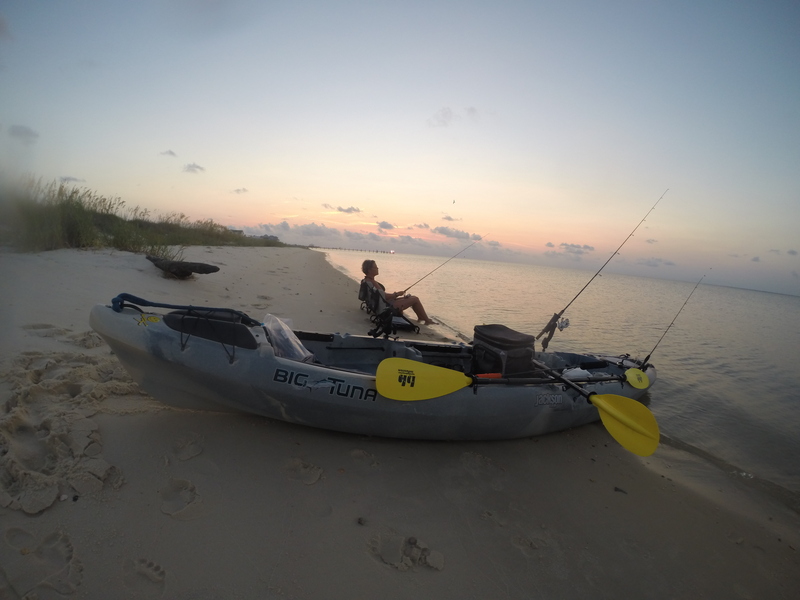 Tami fishing on a private beach at Dauphin Island. 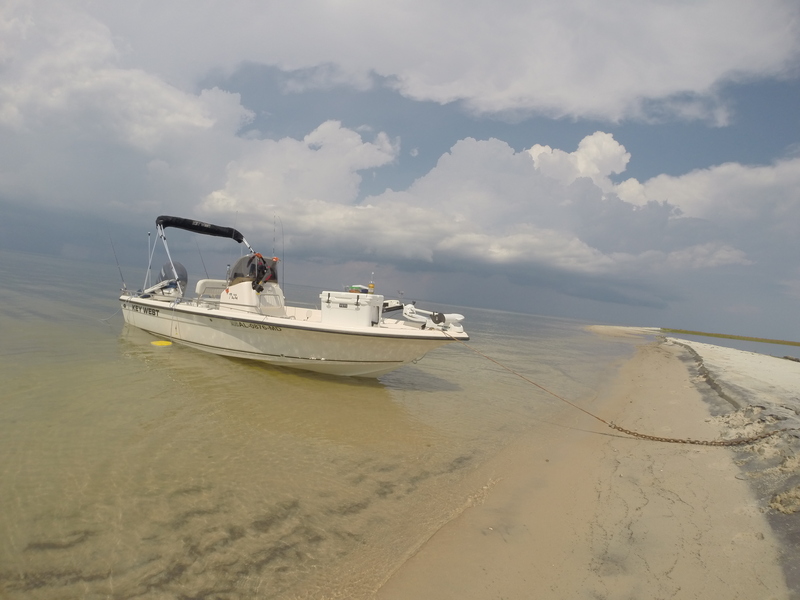 The boat on a private beach at Dauphin Island. 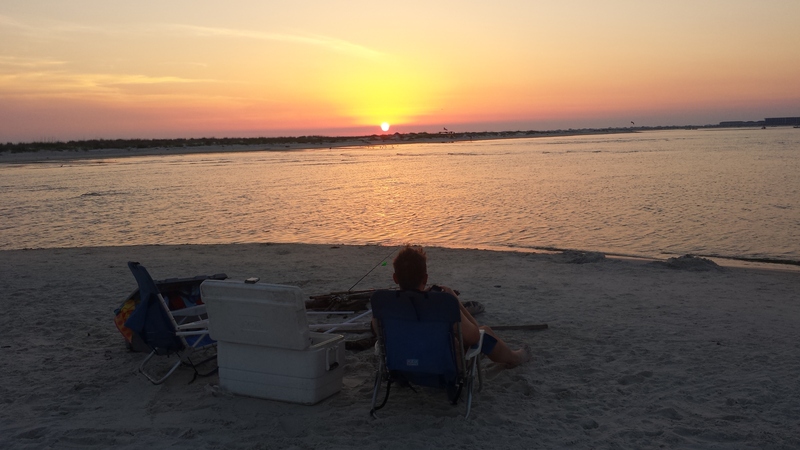 Tami watching the sunset at Dauphin Island. 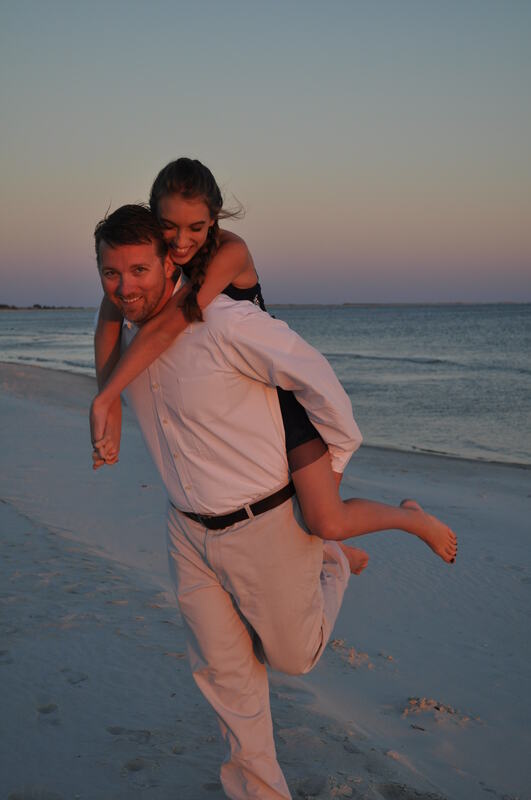 Eric and Ally on the beach at Dauphin Island. 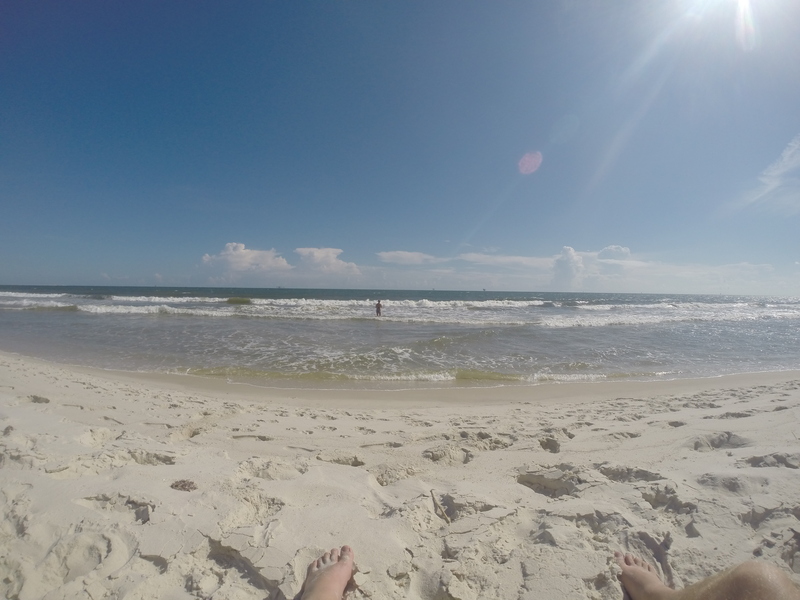 Dauphin Island, from the beach..